I like New Year’s resolutions. They give me a reason to take stock of how I am doing taking care of myself and those I love. They help me make adjustments in my ultimate goal of living a happier, healthier, balanced life. It never fails that one of my resolutions has to do with health. This year, my family has decided to participate in 30 days of the “Whole30.” It can be difficult to find recipes for dinner that are interesting but still follow the Whole30 guidelines and also are easy and quick. For those who are not familiar with Whole30, it is all about eating real food. Here are some guidelines. Eat moderate portions of meat, seafood and eggs; lots of vegetables; some fruit; plenty of natural fats; and herbs, spices and seasonings. Eat foods with very few ingredients, all pronounceable ingredients, or better yet, no ingredients listed at all because that means it is whole and unprocessed. A key to staying on track is to diversify meals; get creative. I now eat leftovers for breakfast and top them with an egg. We have roasted broccoli for snacks, and to get the most bang for our buck from the grocery store, we freeze whatever vegetables are extra from the week and then throw them into a vegetable soup. You can also take a classic dish like Homestyle Spaghetti with Meat Sauce from Peace Meals and use zucchini noodles instead of spaghetti noodles. If you are following Whole30, omit the wine and cheese. A favorite dish is the Roasted Rosemary Pork with Asparagus from the Junior League of Houston’s Stop and Smell the Rosemary. The ingredients are simple, so I have most of them. It takes 10 minutes to prepare. 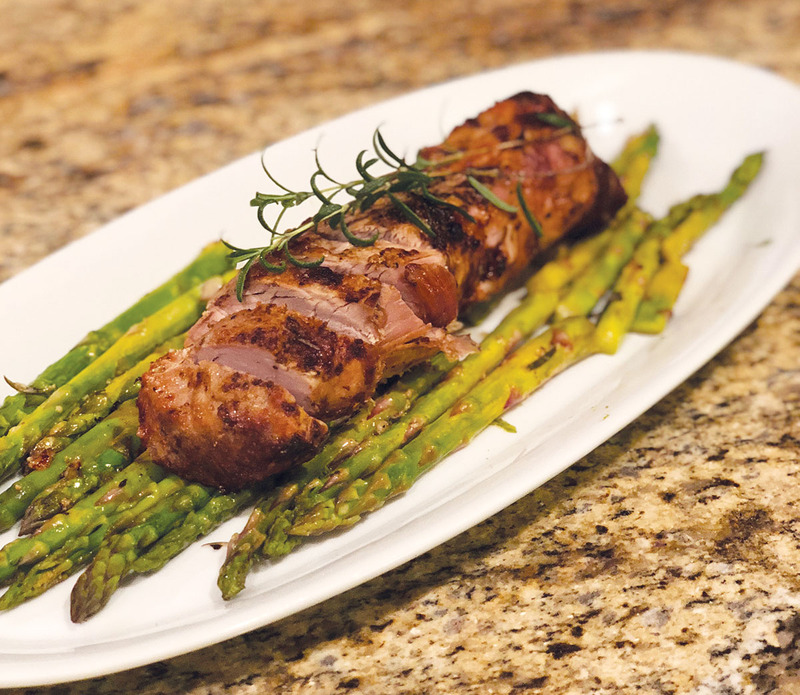 You use the same marinade for the pork and asparagus, which saves time. This is a dish you can prepare, pop in the oven, head out for a nice family walk and come back to a home-cooked meal. If you are looking for a lighter dish, the Grapefruit, Mango, and Sweet Onion Salad from Stop and Smell the Rosemary pairs nicely with grilled shrimp. 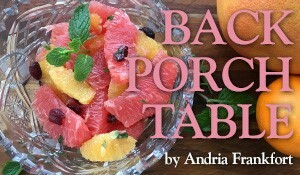 January is prime grapefruit season, so this is a great time to make this salad. And even if New Year’s resolutions or following the Whole30 guidelines are not your thing, I encourage you to give these recipes a try anyway, for a healthy, delicious dinner. To buy a Junior League of Houston cookbook, see jlh.org or call 713.871.6608.